We’re undergoing a quiet revolution. The new currency in our digital economy is information, ideas, know-how, brands, systems and data. Whether you’re starting a new business, launching a new product or service, or building a brand identity, you are also creating intellectual property. 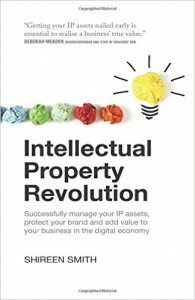 Do it right and the intangible assets you create could be worth more than the products or services themselves. Do it wrong and you could miss vital opportunities, have your true value stolen or find yourself on the wrong side of an intellectual property dispute. Every business needs to know how the law of brands affects its use of names – a common trap for the unwary. Even if a business thinks it is too small to be a brand, there are many aspects of brand law to be aware of. This includes copyright and internet laws relating to website and social media. Digital word of mouth is a common by-product of social media, so that management of business reputation involves some understanding of brand law, even for a business that is not online. 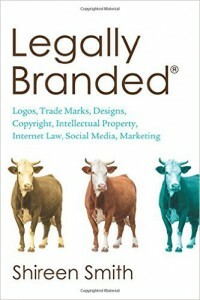 Legally branded offers businesses the information that they need to know to avoid the all too common problems that entrepreneurs and small businesses make, which causes problems such as having to rebrand for infringing on the rights of others, or having non distinct names that are inadequate to serve the ambitions of the business. Brands are not just about names and logos, though these can be important ways to promote and support the business. Legally Branded is aimed not only at alerting you to crucial issues that you need to address both early on, and as your business develops, but also offers practical, realistic advice on how you can take action to ensure that your business is built on solid foundations.